Leslie Williamson was born and raised in San Jose, California and educated at the Art Center College of Design in Pasadena. Since graduating she has pursued both fine art and commercial photography, which have garnered her numerous accolades including being a Surface Magazine “Avant Guardian” and featured in Communication Arts magazine. She currently resides on a foggy hill in San Francisco. 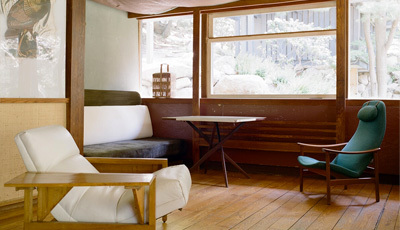 Anyone with a serious interest in mid-century design will know what a fantastic talent photographer Leslie Williamson is. Her Handcrafted Modern book documented a large chunk of homes from the most influential designers of this period with such clarity and captivating composition. We feel so lucky to have had the opportunity to put questions to Leslie as she took some time out to reflect on the project. It was great to get further insight into some of our favourite designers like the Eames, I’m sure visiting their home must have been such an incredible experience. Leslie is truly an inspirational character given her passion and dedication to preserving the legacies of so many fantastic designers through her work. I hope you all enjoy this one as much as we have, and if you haven’t already we’d highly recommend purchasing a copy of Handcrafted Modern. 1. Who is Leslie Williamson, and what does she do? I consider myself, first and foremost a photographer. I also write for my own books (Handcrafted Modern, and the upcoming second volume shot in Europe) and post monthly to my “People Watching” column on the NYTimes T Style blog. 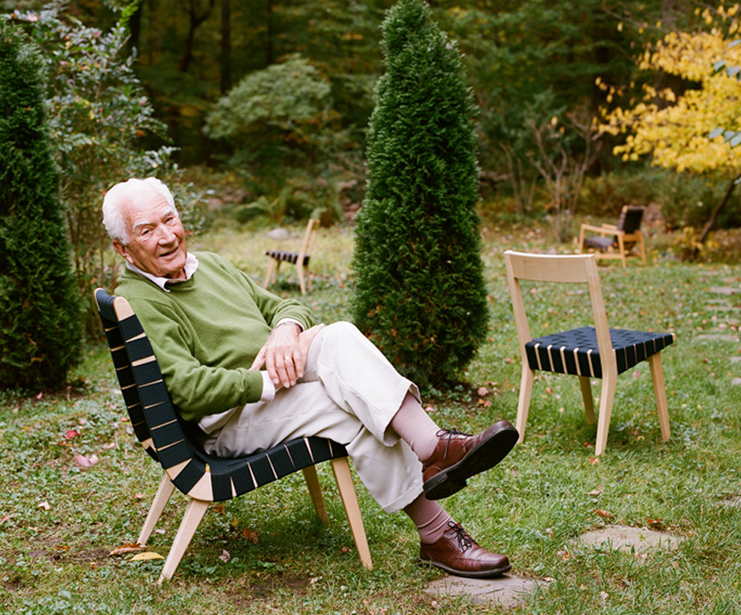 I tend to run across interesting people and photograph them and their spaces – usually creative people and I use that in the broadest of terms – architect, furniture designer, whiskey bottle collector, bread baker … people fascinate me. Individuality fascinates me. 2. You were born and raised in San Jose, California do you think your upbringing and surrounding influenced your work in any way? A look at the desk of famous German architect and Bauhaus founder Walter Gropius. 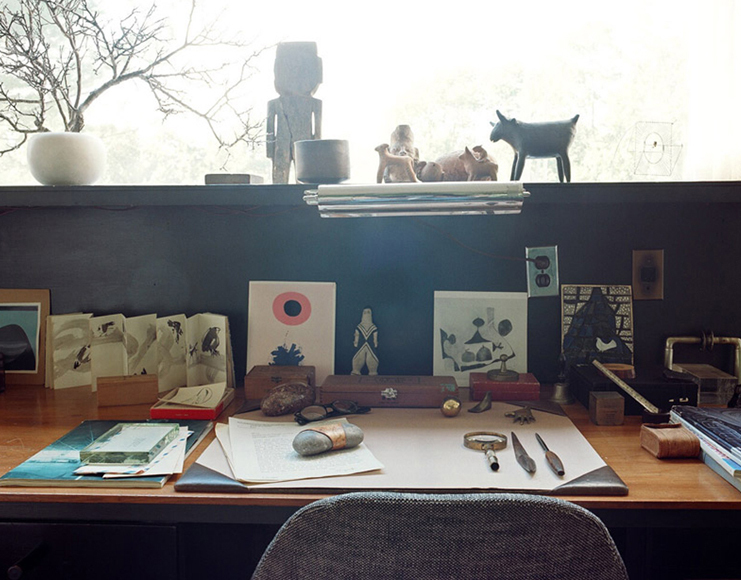 Notice the Carl Auböck paperweight set on the desk which can be purchased in our shop, this was photographed for Leslie Williamson’s book Handcrafted Modern. 3. As you developed your own style of photography who were the creatives that inspired you the most? 4. Do you think you’ve always been an observant person since an early age, or did you have to teach yourself to notice the finer details within a frame? I’ve always been like this. I was a creative, hyper-observant, empathetic, and emotional kid. I think that is where being truly observant comes from – empathy. It has just progressed and gotten more pronounced the older I have gotten and I have settled into it as well. I don’t fight it. I think when I was younger I tried to stifle it a bit. I don’t do that anymore. Quite the opposite in fact. 5. What I like about your work is the apparent involvement of fine arts in your photographic explorations. In my opinion your taste and aesthetic is far superior to most and you’ve got a real eye for design. For example in Handcrafted Modern where you showcase the homes of influential mid-century designers, why are you attracted to their works and what is it about them that you like? Thank you so much for that lovely compliment! Wow … so nice! 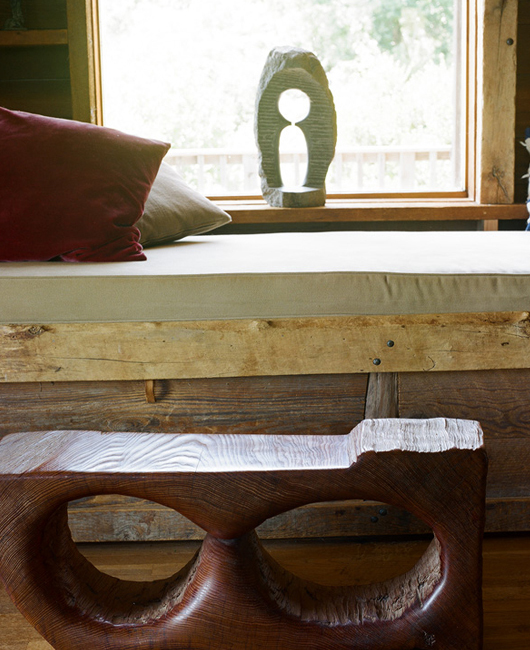 With Handcrafted Modern, I really just chose to shoot people/homes that truly inspired me. It was that simple. I loved these peoples work, their homes and by extension wanted to see how they lived. My shooting their homes was a way to get to know them in some way. I think that total engagement comes through in the images. I am connected to what I shoot. I have found for me that is crucial and I think that the viewer senses that. 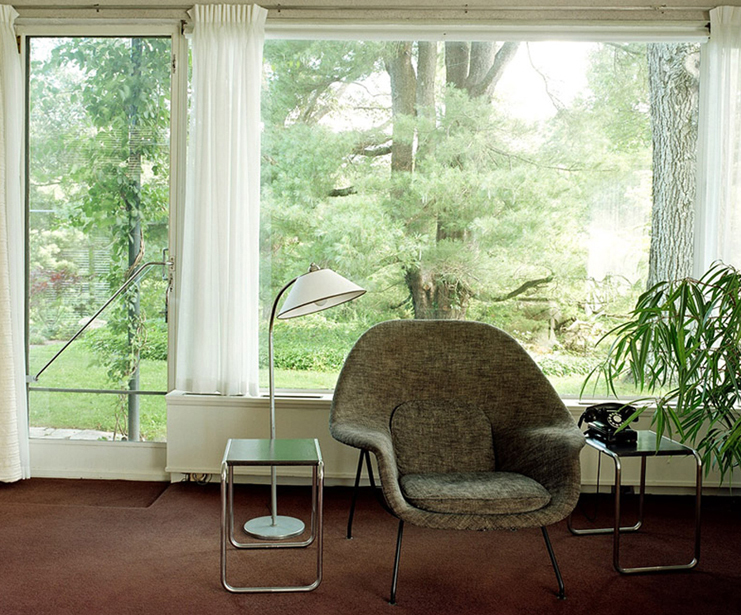 Walter Gropius’ House, Womb Chair by Eero Saarinen and Marcel Breuer tables. 6. I’m sure this will be pretty difficult to answer, but out of all the homes that you visited as you put together Handcrafted Modern which could you see yourself living in the most, and why? Oh my, yes … impossible question! I really couldn’t choose just one. There are little brilliant things about every single one. There were a couple that just fit in with how I live, though. 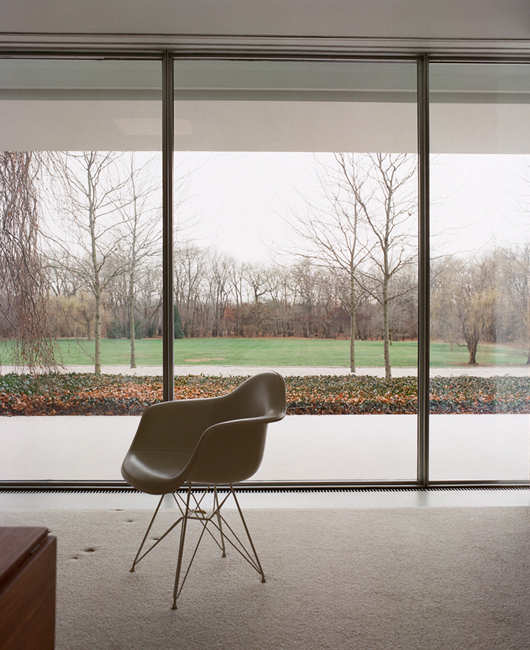 I remember when I was shooting the Eames House, I just felt at home there and I really didn’t expect that. Maybe it is because it was in California, or that I lived in LA for many years. I ended up taking off my shoes and padding around barefoot, like I would do at home. That is an incredibly liveable house for all its iconic status, it would be a great place to be everyday. JB Blunk’s House in Inverness is another home where I just felt instantly at home. It is a quieter existence and more remote, but it would be my dream vacation home. I feel lucky I still visit there regularly. Those two come to mind immediately. But if I keep going I will choose every one. 7. Has it been hard to exceed the standards you set for yourself in Handcrafted Modern, and how have you approached projects since the success that publication has brought? I don’t really know. Every project is different. I just know what I expect from an image and I instantly know if it is there or not. I am the most difficult person to please in all this. I don’t think I will ever exceed my expectations, honestly. I don’t see that changing going forward. In terms of projects, I tend to be more interested where people are NOT going. I have always been that way. I just follow my gut really. Jens Risom posing for his part in Handcrafted Modern. 8. I think people often underestimate the knowledge that a professional photographer has to have to stay ahead of the competition, have you ever found this to be the case, if so how do you respond to such comments? I honestly do not worry very much about competition. As I see it there is plenty for everyone and we all see differently. So if I don’t get the job, it was not right for me. I have so many personal projects going that I find so compelling, I sometimes have to remind myself that I need to do a paying job! I probably shouldn’t admit that, but it is true. But it is a fact that being a photographer takes many different skills and so many are not prepared for it when they first start out. It is not just taking pretty pictures. That is about 50% of it. Marketing, producing, billing, estimating, etc. You basically do everything until you reach a point when you can afford to have people do those things you don’t like for you. I still do pretty much everything for my personal projects and have a really great team for larger commercial jobs. A great team is key. 9. Do you have a shortlist of designers and their work that you want to photograph, but have yet to have the chance? My shortlist is rather long! And it doesn’t just include designers. Some people are no longer living as well, so it becomes a quest on how to find things to photograph that will uncover something about them that people didn’t already know. Albert Einstein is one of those people. His house is not preserved. Everything for me starts with the house and goes from there. 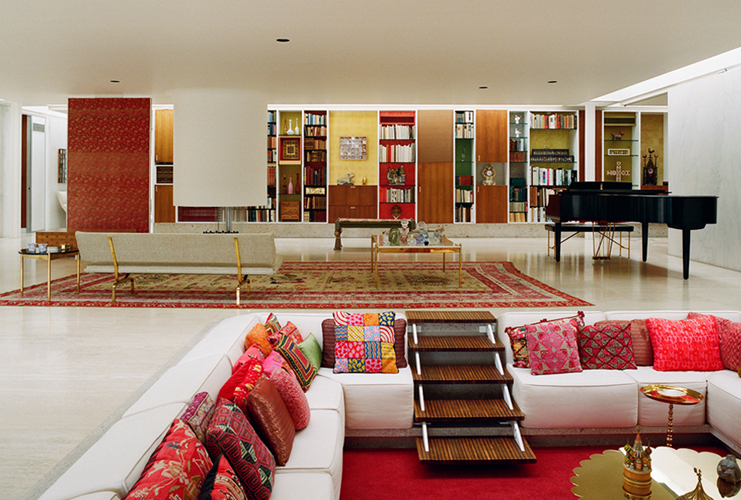 As for designers, I would love to shoot Enzo Mari and photograph his home. He has a fascinating brain. Everyone tells me he is very difficult and for some reason that just makes me like him more. Ha! 10. You’ve been working on a new project titled “American Craftsman” which looks to uncover more artisans, what selection of people have been most interesting to meet? It must be amazing to talk to these creatives and gain knowledge about their craft and life? Yes, I am rather passionate about this project. It has broadened and changed quite a bit since I first talked about it. It has now become worldwide, not just in the states. Basically, I am looking at one person per media (glass, porcelain, fiber, wood, etc.) and looking at their work space/home and their evolution to where they are, through their own work. So many creative people do other things before they settle on what they become known for. For example, I have been shooting porcelain artist and sculptor Maria Moyer and she has shared these beautiful pieces that she first whittled from wood. So I try and have these people dig through their stuff and find old art projects from when they were kids, or books that really mean something to them. Treasured possessions. It is incredibly interesting for me. But it is about excavating things and that takes time. 11. You’ve become a real dominant force in photography over the last few years and your name gets thrown about a bit, particularly across the web for all sorts of good reasons. How does it feel to be held in such high regard? Wow … I have no idea how to reply. That is really nice to hear. I just do my thing and the more people enjoy it, the more I want to share what I am doing. I have no complaints … people are really lovely and supportive. But on some level I have to work in a bubble. The success of HCModern was because I did it for myself. I shot Ray Eames’ bobbypins on her bedside table because it made me think about how she wore her hair. Humanising things interest me. Because really we are all the same. My Grandfather said “we all put our pants on one leg at a time.” On some level I try and show that. So praise for my work or no, I will still be doing the same thing. But don’t get me wrong, I SO appreciate the support I have received. It has been amazing and humbling. The Miller House, Front Living Room photographed by Leslie Williamson. 12. What would your advice be to those that wanted to go out and get a body of work published? I would say be absolutely passionate about what you are working on. The publishing industry is not a way to get rich or famous. You really have to do a project because you just cannot NOT do it. I would be shooting all this stuff if I was getting published or not. I am incredibly grateful I am getting published, but it is not the main reason I do it. These homes need to be documented before they are gone. That is my key mission – documenting how designers who have influenced how we live, live themselves. Two of the houses in HCModern are no longer in existence. 13. On a final note, can you tell us about any future projects or ideas that you want to explore? Right now I have just begun shooting the next instalment in the HCModern series. This book will be focused on European Houses. It is quite different than the first obviously. Slightly different criteria. So I am shooting in Europe for the next 4 or 5 months. I have also just begun writing for the NYTimes TStyle blog. My column (I guess that is what you call it) is called “People Watching”. It is really an extension of what I do anyway, so it is nice to have a place to share these amazing people I meet up with. The Craftsman Project is still bubbling away on the back burner, getting better and better. The Grandma Project is one that I really would like to complete very soon but it always gets put off. Very personal to me as it is my Grandmother. There are 2 other projects that are a bit of a secret and will probably take 10 years to complete because they are so in depth, so I’ll just leave it at that.